Microsoft today launched the latest version of its Visual Studio tools for developers at an event in New York City. The new version includes a number of user interface improvements, smarter tools for inspecting existing code in its context and support for Windows 8.1 application development. All of these were previously announced and available in the VS2013 RTM release. 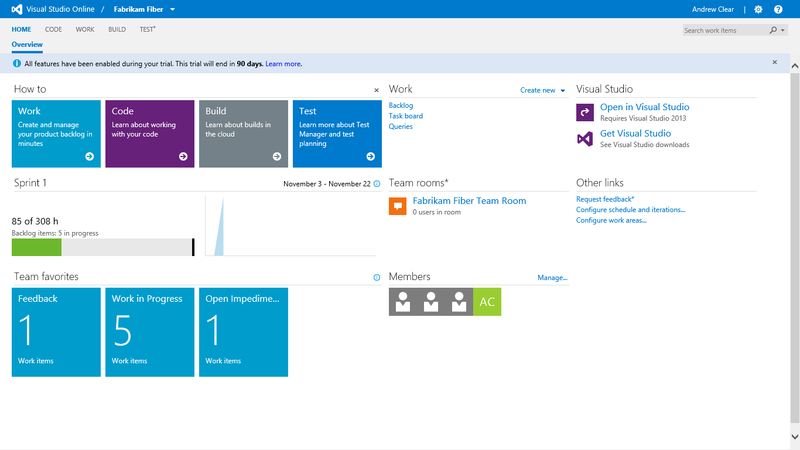 The surprise announcement, however, is the launch of Visual Studio Online, a set of development services running on Windows Azure that focus on agile team collaboration, Application Lifecycle Management and support for Windows Azure. The service will also include an elastic load testing service based on Azure that will launch in public preview today, but the focus is currently on making the development process easier for teams, which essentially makes Visual Studio Online an extension of what the company has been doing with its Team Foundation Service. The other feature in private beta is codenamed “Monaco.” It’s a cloud-based code editor that enables lightweight editing for Windows Azure websites. The company is marketing this as an “easy way for developers to get started and make quick updates to cloud services” that run on its Azure platform. This feature will likely get quite a bit of attention, given that it’s the first time Visual Studio makes an online editor available. The technology behind Monaco, it’s worth noting, is already available in other Microsoft tools, including SkyDrive. As Microsoft’s corporate vice president of its developer division, S. “Soma” Somasegar, told me in an interview earlier this month, the company decided to keep Monaco in private preview for now and to test it for this limited use case in order to tune it for this specific usage scenario. The broader vision, however, is to make these kinds of online tools available for other use cases as well, “but in cases where it makes sense,” as Soma told me. The plan isn’t to just copy the desktop experience and take it online, but to make it complementary to Visual Studio. He believes it’s extremely useful in this kind of “quick-fix scenario” and that other use cases will crystallize over time. Microsoft makes it easy for developers to get started with Visual Studio Online, as many of its features are available for free for teams with up to five members. Teams with up to five users can use the Visual Studio Online Basic plan, and if they need additional seats they can purchase additional user plans (Basic, Professional, or Advanced) or can add eligible MSDN subscribers. Support for Visual Studio Online is also now included as part of Microsoft’s MSDN subscription service and standalone subscriptions are available starting at $45 per month for up to 10 users (including a license for the Visual Studio Pro IDE). Customers who create an account prior to November 13, 2013 get an additional 90 days (throughFebruary 11, 2014) of unlimited users on the account. Until further notice, Microsoft is making all other Visual Studio Online services available at a 50 percent discount (which is basically a marketing gimmick given that it won’t say when this promotion runs out. Update: Microsoft tells us the promotion will run until it has a “full financially-backed SLA is in place.”). 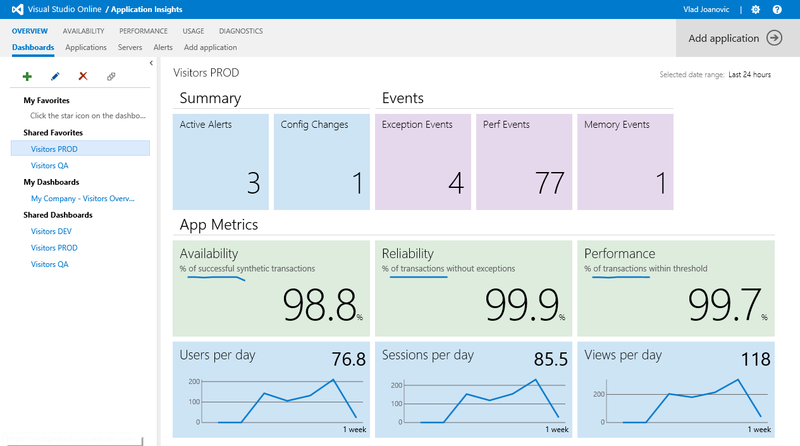 All plans include a free monthly quota of the metered cloud services within Visual Studio Online, including cloud build, load testing or Application Insights. The amount of free access depends on the subscription tier. At its free tier, the service lets developers manage an unlimited amount of repositories and projects, track their work items and discuss their code online using Visual Studio Online’s planning tools. As part of the paid service, users can then author work charts, get support for portfolio management and access to team rooms. Soma believes that the release of Visual Studio 2013 and Visual Studio Online marks a new era for Visual Studio. It started out as a client-side IDE and then added some server-side tools with Team Foundation Server and Service. Now, the next big step is making all of Microsoft’s server-side tools on Azure work hand-in-hand with the client-side tools, and Visual Studio 2013 marks the first step in this direction. Visual Studio 2013, of course, also has plenty of new features, and you can find a full run-down here. One tool Soma specifically highlighted, though, is the ability to sync customizations between different machines. Most developers spend countless hours customizing their setup, after all, but until now, none of these customizations transferred when a developer moved to a new machine. Some also stressed that Microsoft will update the old Visual Studio 2012 suite to version 4 today, and the company plans to continue this update cadence with Visual Studio 2013. Its customers liked these frequent updates, Soma noted, and 60 percent currently run the most recent version. He also said that the Visual Studio ecosystem continues to expand, with over 4,300 extensions available in the gallery right now.